Check out the new Typ-1 from California-based company Aptera. 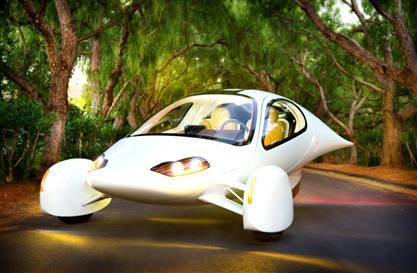 Not only is it a crazy awesome amount of futuristic strangocity, it gets 300 miles to the gallon (hybrid version). Cool! This “car” could be on the market as early as next year.